Posted on February 8, 2019 by Heather W.
In many cases, the words “sophisticated” and “affordable” do not always go together. For many products, a basic version is more budget friendly, while something that has a lot of bells and whistles tends to cost a lot more. 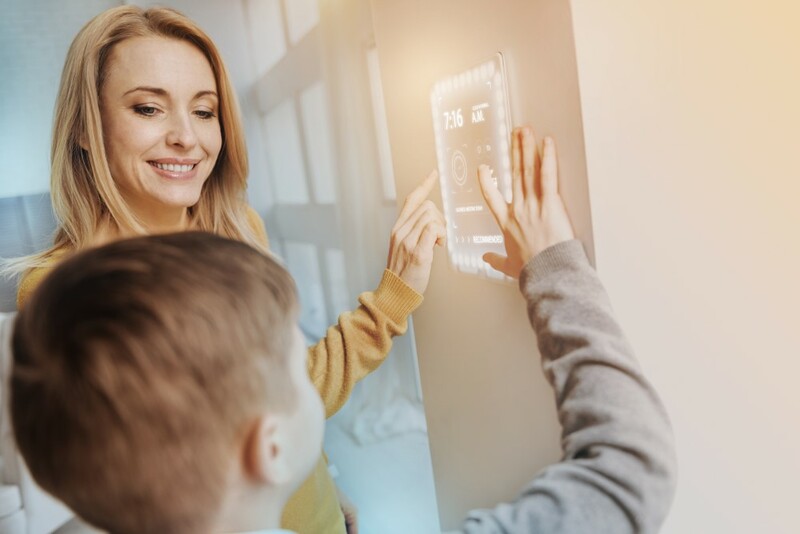 As a mom who is always looking for ways to save your hard-earned money, you will be pleased to know that many security camera systems for your home now fall into the former category of state-of-the-art and reasonably priced. Like many other types of tech that are more expensive when they are first introduced and become lower in price over time, it is now more than possible to buy security camera systems for your home that are complex in concept, refined and user-friendly in form and — best of all — will not require you to go into debt to buy them. Let’s start out by looking at some different terms and features that the most sophisticated home security cameras share, and then look at how to make them as affordable as possible. 4K and HD and Wire-Free…oh my! When shopping for a high-tech yet affordable home security system, you will probably notice a lot of terms being used to describe them, like 4K, HD and the like. While at first glance these may seem somewhat confusing, when you examine what each feature means in greater detail, you’ll see how they are pretty easy to understand. Much like the 4K TVs that are currently available, 4K surveillance is essentially a super clear and high-quality type of footage. For a security camera to be 4K, it must have around 4,000 horizontal pixels; the overall industry standard for a 4K Ultra HD camera is 4096 x 2160 or a whopping 8,847,360 pixels — more than enough to get really clear footage. An HD security camera system uses the same type of gold standard that you are probably used to in your TV and DVD/Blu-Ray Player; HD security cameras capture super clear images that are much better than the hard-to-make-out images from older cameras. HD security cameras are sub-divided into three categories: analog, digital IP and wire-free — which, as its name implies, means that they are not attached to the home with wires and can be placed pretty much anywhere you like. Each type has a system that will store a large amount of HD footage. What about color night vision? Color night vision is a newer type of technology that has taken 4K and HD security camera systems and raised them to a new level of amazing. Color night vision ups the ante to feature full color images, even at night. While you never want to think that someone will be prowling around on your property in the wee hours, if this ever happens, color night vision means you will have additional details that will help you and the authorities to help identify the person — including the color of clothing and hat he or she is wearing and the car. If you have hesitated investing in a home security system because you do not want to pay hefty monthly fees to a company, here’s some great news: you can often purchase home security cameras outright. For instance, Lorex offers a 4K 8MP HD Camera Home Security System with 150 feet of color night vision that does not involve any type of monthly fee. You purchase the set of four bullet cameras from the company and after they are delivered to your home, you can install them wherever you wish. All video footage is safely stored on the security grade hard drive located within the recorder, which is easy to learn how to use. By buying the cameras and then channeling your inner DIY’er to install them, you will find that home security cameras can be very affordable. It is reassuring to know that you can increase the security around your home and get the latest and greatest technology at the same time for a very affordable price. Look for security camera systems that are 4K, HD and feature night vision, and if you go for a wire-free option from a company that allows you to purchase them without a contract, you will have a budget-friendly yet state-of-the-art system in place.